I have heard a lot about The Bride of Amman as a work in progress from my translator friend Ruth Ahmedzai Kemp, so I was very pleased to be offered an ebook copy for review by Hong Kong based publisher Signal 8 Press. The Bride of Amman, a huge and controversial bestseller when first published in Arabic, takes a sharp-eyed look at the intersecting lives of four women and one gay man in Jordan’s historic capital, Amman—a city deeply imbued with its nation’s traditions and taboos. When Rana finds herself not only falling for a man of the wrong faith, but also getting into trouble with him, where can they go to escape? Can Hayat’s secret liaisons really suppress the memories of her abusive father? When Ali is pressured by society’s homophobia into a fake heterosexual marriage, how long can he maintain the illusion? And when spinsterhood and divorce spell social catastrophe, is living a lie truly the best option for Leila? What must she do to avoid reaching her ‘expiry date’ at the age thirty like her sister Salma, Jordan’s secret blogger and a self-confessed spinster with a plot up her sleeve to defy her city’s prejudices? These five young lives come together and come apart in ways that are distinctly modern yet as unique and timeless as as Amman itself. I’d heard of it as “gender-bending chick-lit written by a man”, so it was on that basis that I started reading. I’m not sure if the comparison really holds up though, at least to the kind of thing I read as “chick-lit”. The Bride of Amman tells the intersecting stories of the different characters in chapters each written from their own point of view, and I didn’t feel that it had the dialogue or fully-rounded characters that I’d have expected. In some ways, it was more like a series of blog posts than a novel, and I wasn’t sure that the plot entirely hung together either. For all that, it was a fascinating and thought-provoking read. It would be easy to read it from here in the West and feel smug that we’ve got this gender, sexuality, equality stuff sorted out compared to them over there in the East. But I found it challenged those assumptions too, as well as the more obvious busting of taboos that made it so controversial in the Arabic world. 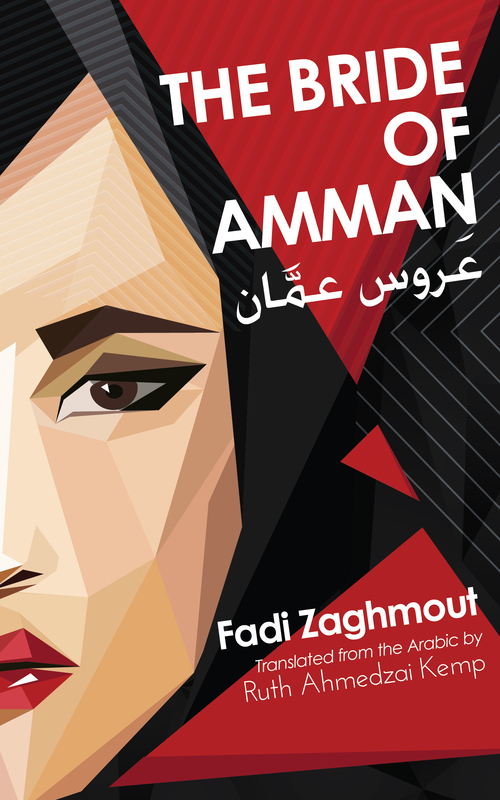 This entry was posted in Books, Reading, Reviews, Translation and tagged Arabic literature, chick lit, Fadi Zaghmout, fiction, Jordan, literary translation, reading, recent reads, recommendations, reviews, Ruth Ahmedzai Kemp, The Bride of Amman, translation. Bookmark the permalink.